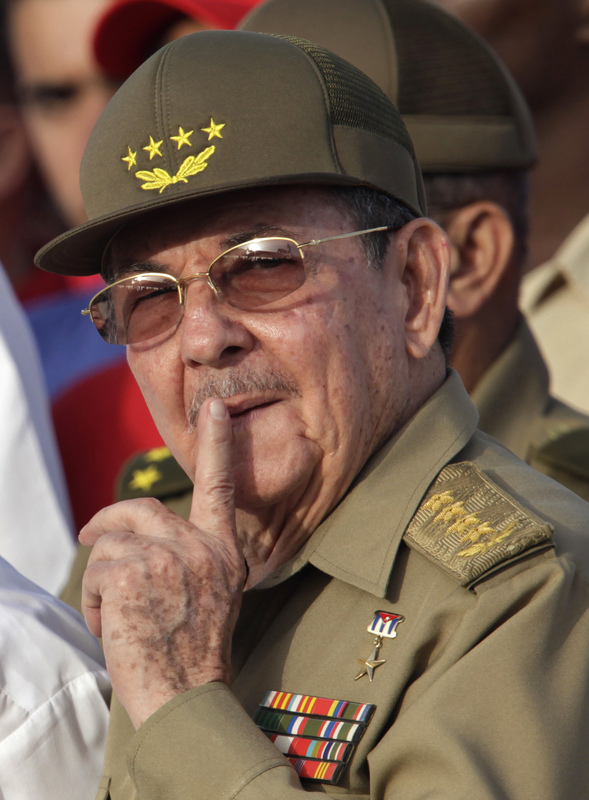 Did Raul Castro Just Reverse The Entire Cuban Revolution? Raul Castro may have potentially made a fatal mistake that risks destroying everything the Cuban Revolution built over the past half century. By entering into a deal with the US, he’s letting the wily Color Revolution fox into the hen house, and he’s also betraying his multipolar Russian ally at the same time. Havana and Washington entered into a surprise deal yesterday to historically restore their relations after engaging in a high-profile prisoner swap. Nobody was expecting such a major development to occur, making many wonder how such an impactful decision could be kept under wraps for so long. The reason being was likely that the US understood what a major hemispheric power play this was and wanted to do everything to safeguard its secret strategy. On the contrary, Cuba, whether its leadership realizes it or not, has everything to lose, and it’s clear from the details that Washington was ‘negotiating’ from a position of strength. While Raul may have thought he could outmaneuver the imminent Color Revolution attempt that will occur after Fidel’s death, he may have actually committed a Yanukovich-esque tactical mistake by trying to enter into agreement with the same forces obsessed with his ouster. The Libyan leader thought that he could safeguard his state by getting rid of his weapons of mass destruction without a Great Power negotiating on his side (as Russia did for Syria), but in reality, he unwittingly sold his country out. By saying “Yes!” to working with the Color Revolutionary forces inside the country, Yanukovich guaranteed that his days would be numbered from then on out. 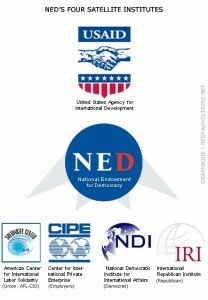 Through these companies US sponsors Color Revolutions. deal with the US. Although it is only speculative at the time, it could be that the US changed its regime change precondition for the restoration of ties to an ultimatum over getting rid of that Cuba’s bioweapons program. If this was the case, the Raul’s fate will be as good as Gaddafi’s. But what is certain in this situation is that Raul is following in Yanukovich’s footsteps by trying to save his own skin through convoluted Machiavellian games. Fidel is a likely a lot closer to death than the Cuban government is letting on, and Raul knows that the moment his brother passes away, the Color Revolution will officially be initiated. He thought he could preempt large-scale disturbances among the portion of the population with legitimate grievances that could be manipulated by the US through a proactive deal with Washington. But just like Yanukovich committed a flagrant folly through his ‘reach out’ attempts to the ‘opposition’, so too is Raul doing the exact same thing by working with the US. The difference is, Yanukovich dealt with the proxies, but Raul is politicking with the puppet masters themselves, who are much more experienced at the art of manipulation than the throw-away ‘opposition’ is. On the surface, it appears as though the deal was relatively fair and even, with both sides getting what they wanted plus the future prospect of limitless mutual benefit through the restoration of relations. Sure, Cuba regained its three heroes and this was a symbolic success for the government, but it’s the US that really called the shots in this ‘deal’. It dictated which of the 53 ‘political prisoners’ would be released (another condition for the restoration of ties), and not only that, but they’re free to walk about the island and go right back to their subversive activities. 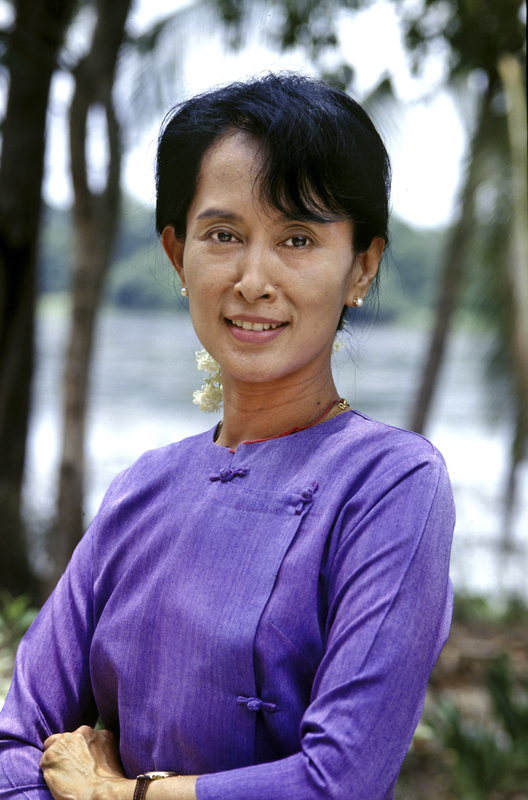 Pro-Western democracy leader Aung San Suu Kyi from Myanmar attempted to radically destabilize the Myanmar government before her famous imprisonment. 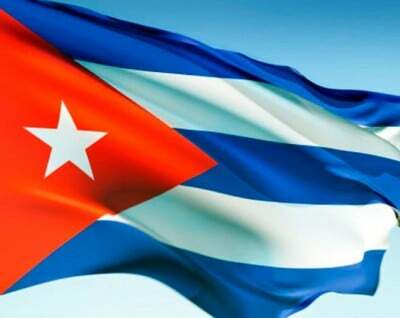 Now, Cuba has 53 such people and they’re free to do as they please without consequence to themselves. In essence, Raul just created 53 untouchable Aung San Suu Kyi’s that are all but guaranteed to form the core of the public Color Revolutionary elite. After all, so much global publicity has been expended on this deal, that there is close to no possibility that Raul’s government would take the risk of rough handling them in the future, regardless of their provocations, as the global information warfare potential against the government would be too great at that point. He walked right into a trap, and the imminent Color Revolution will now either sweep him from power, or he’ll be forced into conceding everything away and dismantling the country by his own hand as dictated from abroad via the internal (now permanent) proxies. The US likely sweetened the deal with some behind-the-scenes economic incentives in order to facilitate its conclusion as soon as possible due to the Russia factor. Putin made a surprise visit to the island in July en route to the BRICS Summit in Brazil, and during his stay there, he announced that Russia was forgiving $32 billion of Cuba’s debt, which was 90% of the total. In exchange, it was rumored that Moscow would be reopening the Soviet-era signals intelligence base in Lourdes, which considering the tense climate of the New Cold War, would have been a massive strategic detriment for the US. With this in mind, the US immediately set off to seduce Cuba. This means that the US-Cuba deal must absolutely be viewed in the prism of current geopolitical rivalry with Russia. With that in mind, Washington scored an even larger victory than it initially seems. Russia obviously had its own secret plans for Cuba when Putin made his unannounced visit to the country over the summer, but it seems like the US has nullified them before they could get off the ground, since there is no way the US would allow Cuba to retain such a facility as part of the deal. If this was the case, then Russia is out $32 billion for an investment that will never see the light of day (made even worse by the economic war being waged against it at the moment), while Raul’s government can cozy up comfortably with dollars in their pocket from newfound American investors. How’s that for betrayal after Moscow risked a nuclear war to protect that very same government from regime change over half a century ago? Cuba represents the symbol of the global anti-imperialist movement and its soft power is certainly disproportionate to its size (and rightfully so). Nonetheless, like many things in life, this massive advantage also has an equally negative disadvantage, in that if Cuba betrays its ideological foundation and allies with the US, then it would also be betraying its multipolar allies in the region, specifically Venezuela. In recent years, Caracas has succeeded Havana as the capital most actively resisting American dominance in the region, largely due to the astronomical economic benefits that come with its natural resources largesse, but the two states are still fraternal brothers in the cause, and Venezuela’s leaders are said to sometimes take their political cues from Cuba. But, if Cuba really did double deal against its allies and is now buddy-buddy with the US, then Venezuela would be the first country to be most directly affected by this political reorientation. As the de-facto leader of the Resistant and Defiant (R&D) Latin American states, Venezuela would no longer have the symbolic ally that gave it this ‘legitimacy’. In fact, if it turns out that both states have divergent views vis-à-vis the US, this could create a Brzezinski-esque intra-R&D spat that could spill over into an all-out split, much like the Sino-Soviet one of decades past. That would be absolutely disastrous for the R&D Latin American movement as well as for overall multipolarity, and combined with falling oil revenues, new American sanctions, the potential for war with American-proxy Colombia, and the ever-present Color Revolution threat haunting Veneuzela, the prospects of a regime change operation succeed there significantly increases. If Venezuela should fall, the rest of the R&D states connected to its network (Nicaragua, Ecuador, Bolivia, and the smaller Caribbean states of ALBA) would react like dominos and follow in its path. The grand strategic vision that the US wants to set out to achieve is to overthrow the most active R&D governments in Latin America and complete an effective encirclement of Brazil in order to strangle multipolarity’s future in the Western Hemisphere. This would in effect neutralize the entire North and South American landmasses and turn them into a de-facto pro-American reserve, much as they used to be over a century ago. This time, however, the US will have a strategic redoubt to retreat to should its Brzezinski-style chaos succeed in Eurasia, as ‘Fortress America(s)’ would not only provide it with all of the natural resources it needs to be economically self-sufficient, but pure geopolitics dictates that it would be insulated from the vast majority of the supercontinent’s meltdown. Thus, if the US succeeds in retaking the Caribbean via the Cuban card and can penetrate ALBA enough to the point of dividing its leadership and dissolving the alliance, then it will be more than able to ‘safely’ destroy Eurasia with the least amount of repercussions to its own supercontinental interests (North and South America). This article is recommended to be read in combination with Mr. Korybko’s complementary piece at Spuntik.